When you are diagnosed with sleep apnea, you have a number of treatments to try. Depending on the severity of your disorder, your options will range from medication to surgery. Either CPAP therapy or oral appliance therapy is recommended for individuals with moderate apnea. 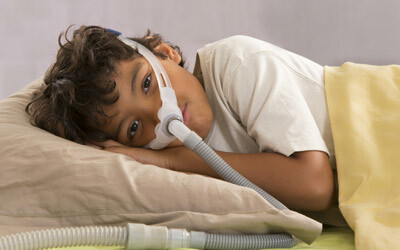 Those with severe sleep apnea will either have to use a CPAP machine at a high setting or consider getting surgery. Surgery is usually considered in extreme cases. Is a CPAP mask right for you? Here is how it compares to other treatments. There are a few different types of oral appliances that can be used to treat sleep apnea and insomnia. They are designed to change the physiology of the face so that breathing will be easier when the patient is sleeping. Since apnea is caused by a partial or complete collapse in the upper airway during sleep, the position of the jaw, tongue, lips, etc. will cause or prevent the collapse. The oral appliances are used to modify the position and keep it in place to prevent the collapse, thus making it easier for air to get through the airway and into the lungs. These devices are custom made by using digital or physical impressions of your teeth. Once it’s ready, your dentist will adjust the appliance and help you with the fitting. OATs are non-invasive and require no electricity. Mandibular repositioning devices and tongue retaining devices are examples of oral device therapy for sleep apnea. The downside of OATs is that they are not necessarily comfortable. The tongue retaining device in particular is not the most comfortable option for sleep disorder. It can even lead to mouth problems such as ulcers, TMD, excessive salivation, or dry mouth. CPAP masks on the other hand may seem uncomfortable at first, but they’re really not once you get used to them. As long as you have the right size and the right style, there shouldn’t be any problems with you getting used to the mask. Also, OAT devices must be custom-made, while masks are more flexible. Sleep apnea surgery for children typically just requires the removal of the tonsils. For adults, surgery is more dramatic. It could involve dental surgery or nasal surgery. While this option is more extreme than CPAP therapy, it does at least stop the problem permanently. However, facial physiology can and will change overtime. There’s the possibility that sleep apnea will come back someday. It might take a decade or two, but at some point, it could still come back. There are always complications associated with surgery as well. Even if you have a good surgeon, there might be some side effects to worry about. A CPAP mask may seem like an inconvenience, but you might not even have to wear it every single night, depending on how severe your apnea is. It doesn’t matter what kind of sleeping patterns or habits you have – there will be a mask to fit; some are even adjustable. Newer models come with features like a humidifier to protect your throat and nose from dryness and irritation. This is a benefit that none of the oral devices can provide. CPAP masks have also been proven in medical studies to be an effective treatment.